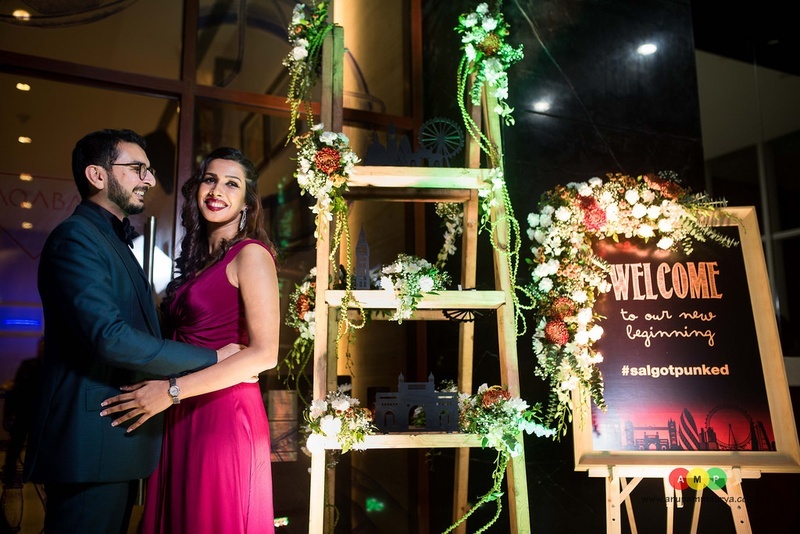 Cocktail – Aqaba in Parel : Set in this modern pub against the backdrop of Mumbai’s glittering skyline visible through glass wall on the west it was a perfect location for friends to revel in the celebration of the night with a free flowing bar counter. 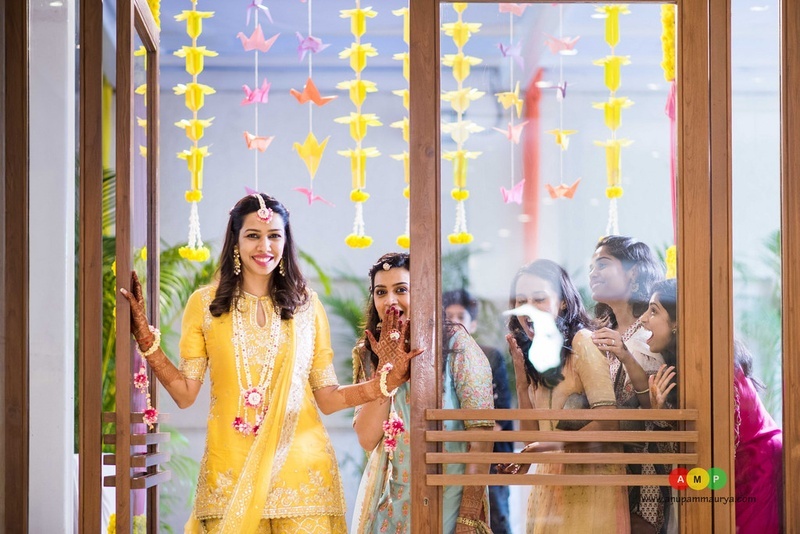 Beer ping-pong, DJ and subtle decoration of orchids made the setting even more joyful. 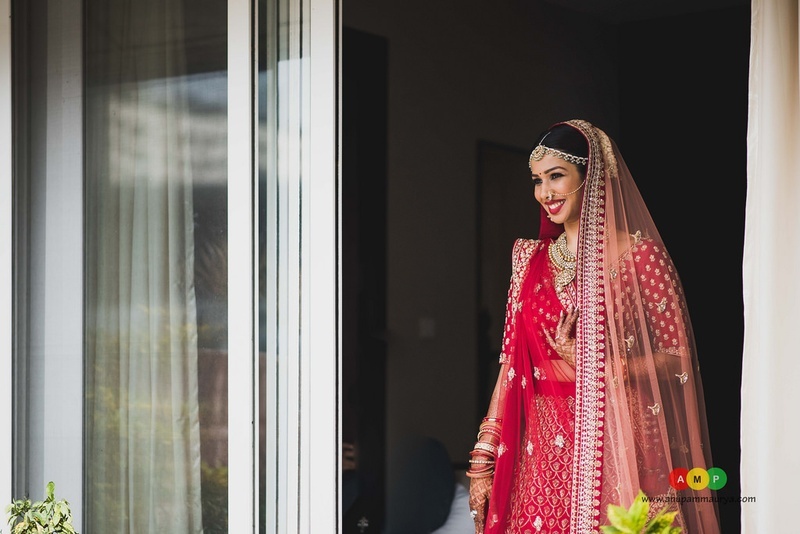 But the highlight of the day was Pankil’s heartfelt speech for Saloni. 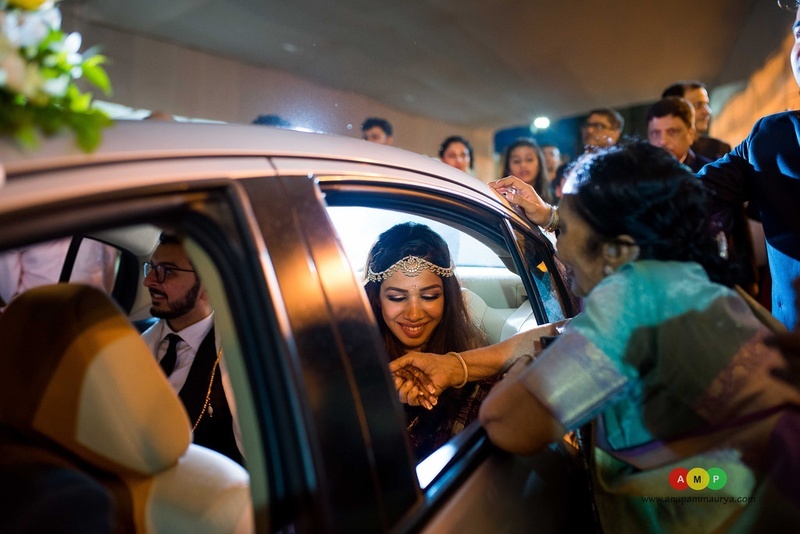 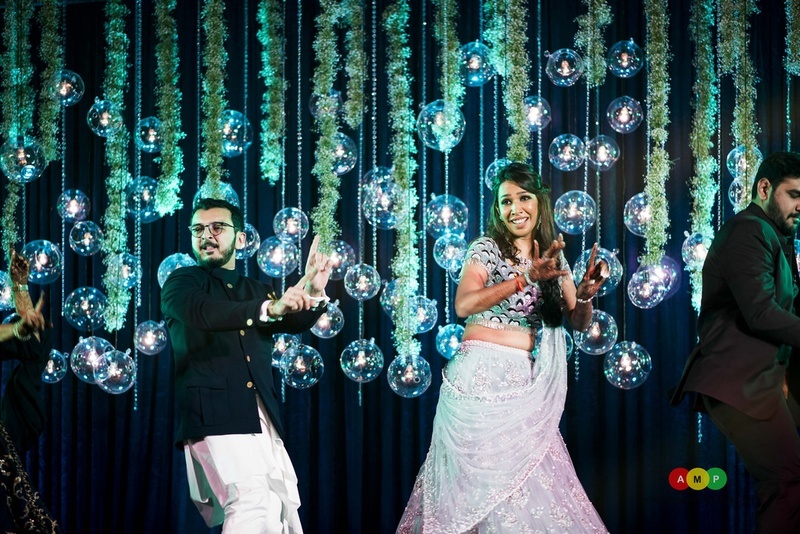 While Saloni looked stunning in a purple gown, Pankil looked dapper in his tux and a bow-tie. 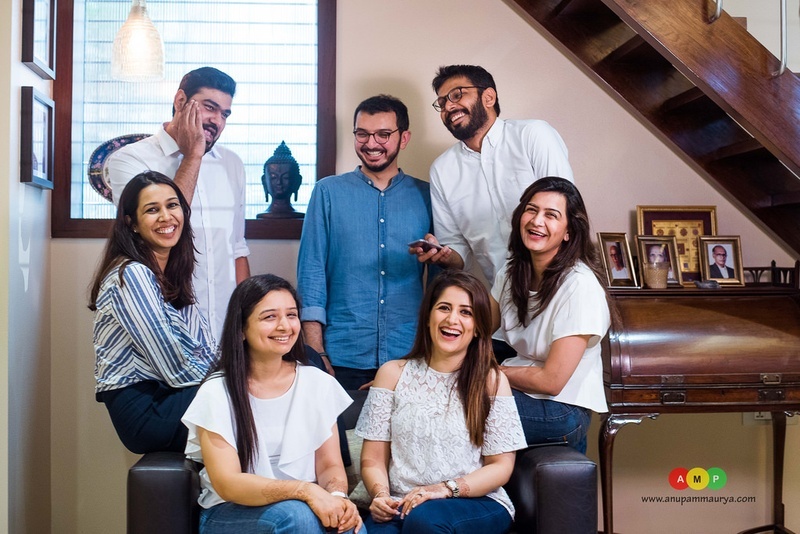 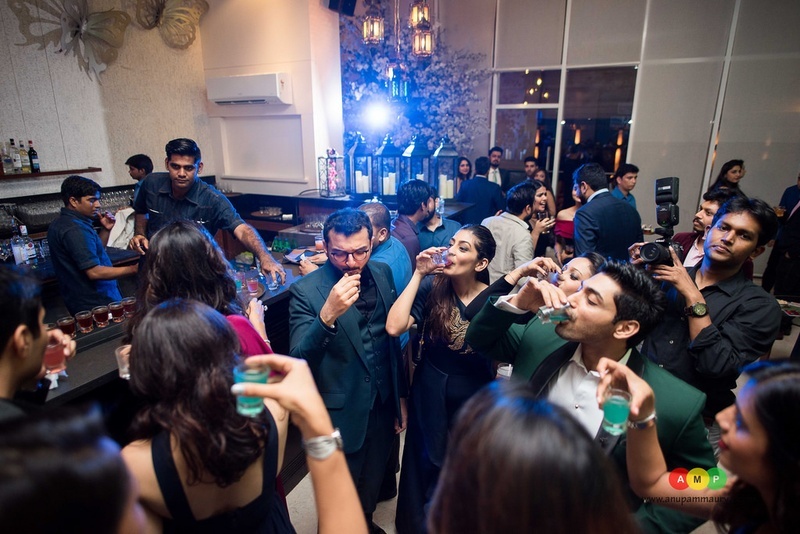 This was an event exclusively for Saloni and Pankil’s friends. 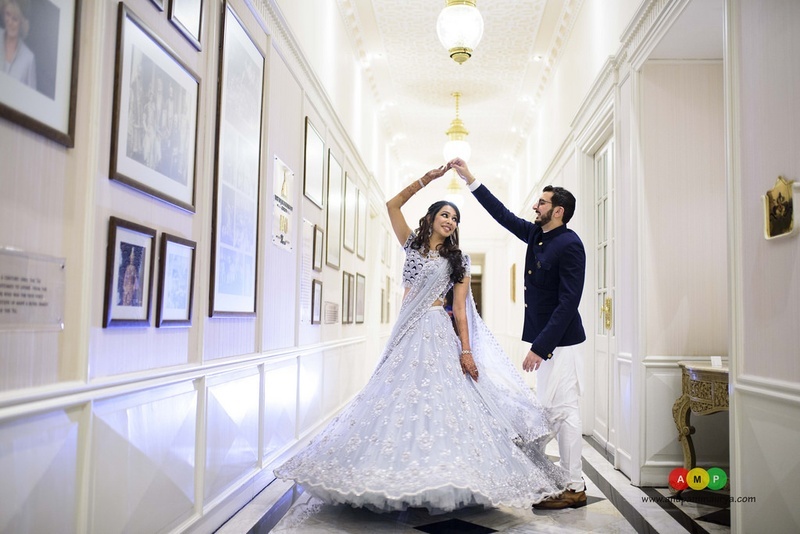 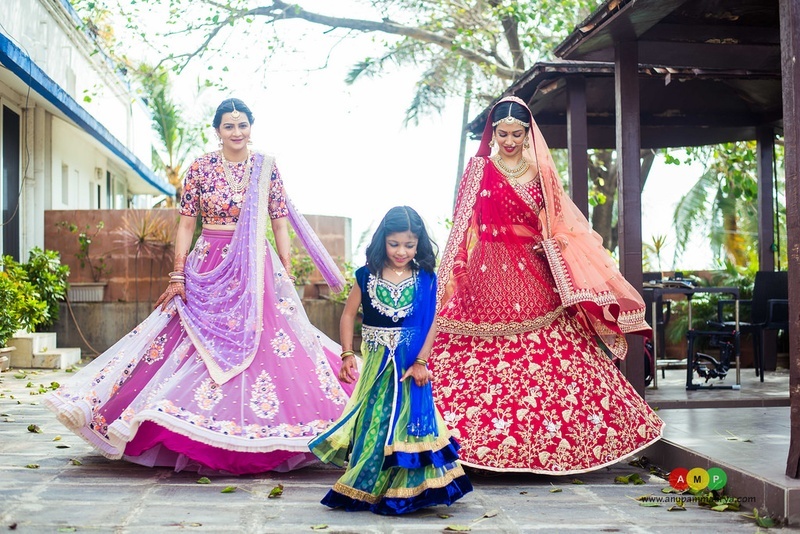 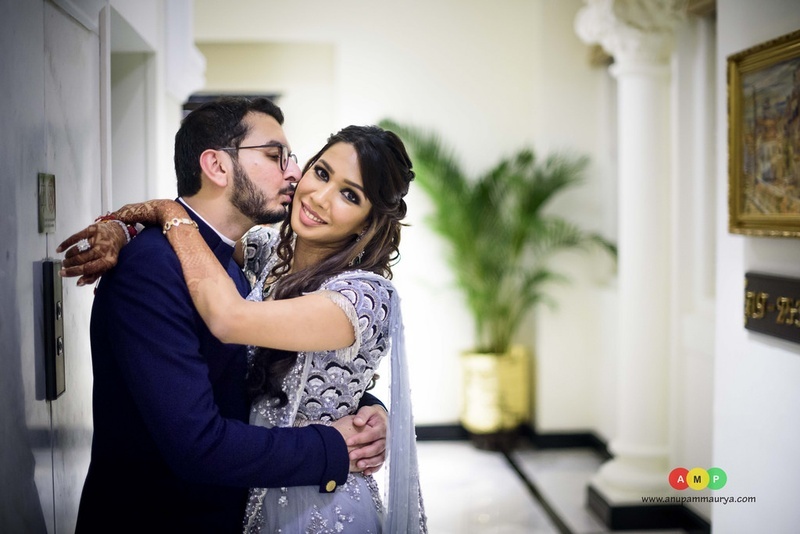 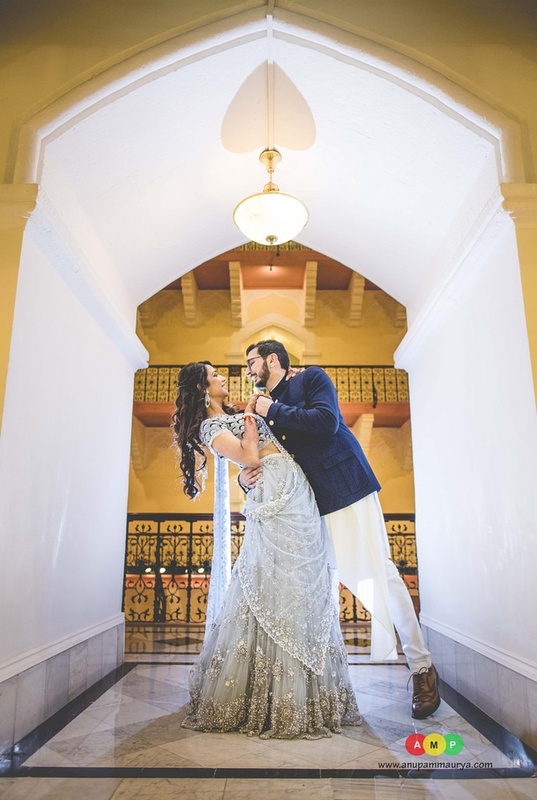 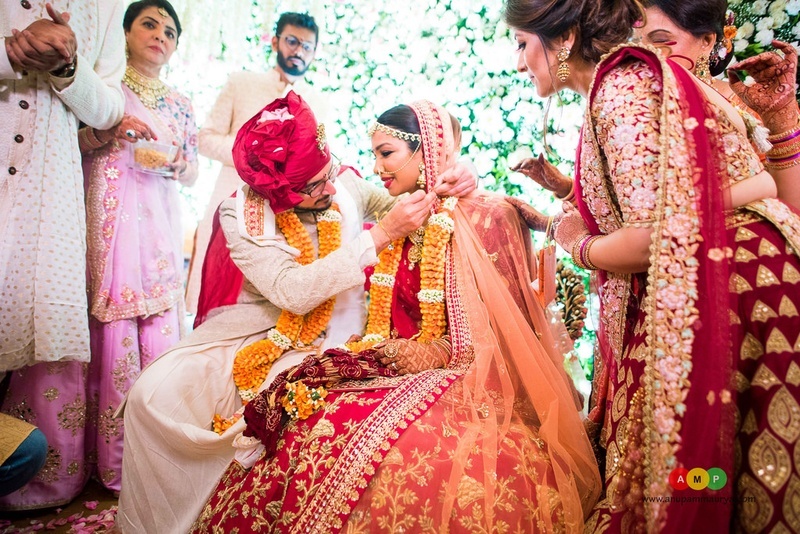 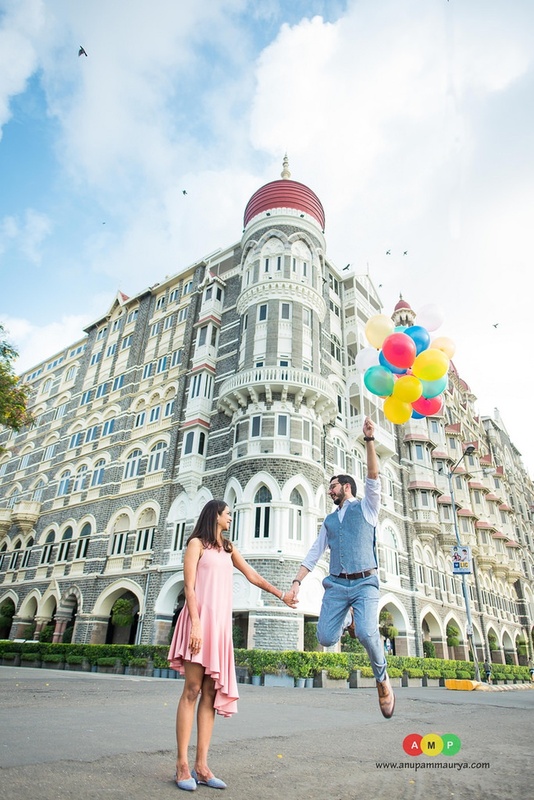 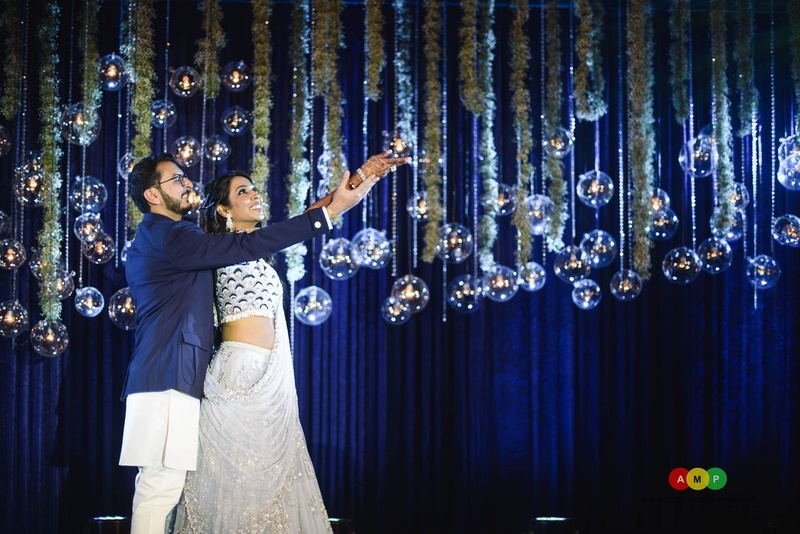 Sangeet – The Taj Mahal Palace: Well choreographed performances by the family, a magnificent entry under the spot-light in a tall and packed ballroom of the Taj-Palace hotel lined with grand & shimmering chandeliers it was a sight to behold. 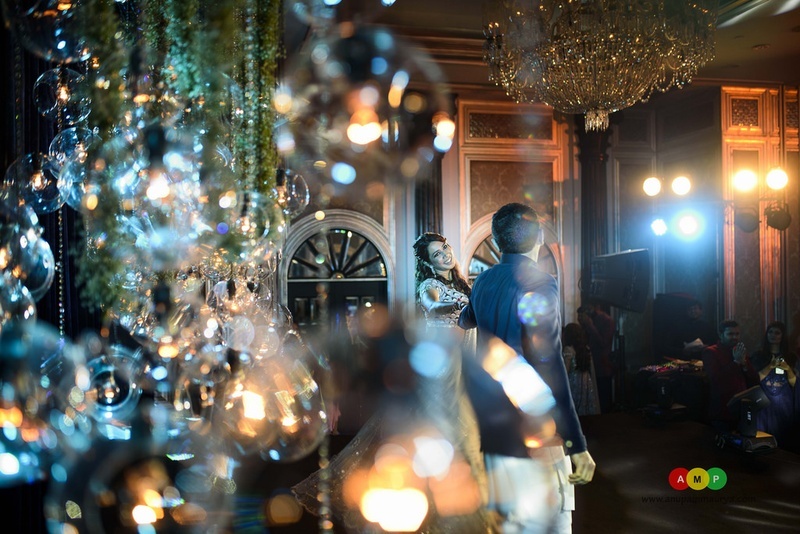 The decoration of the lamps at the entrance and the backdrop of the stage was stunning. 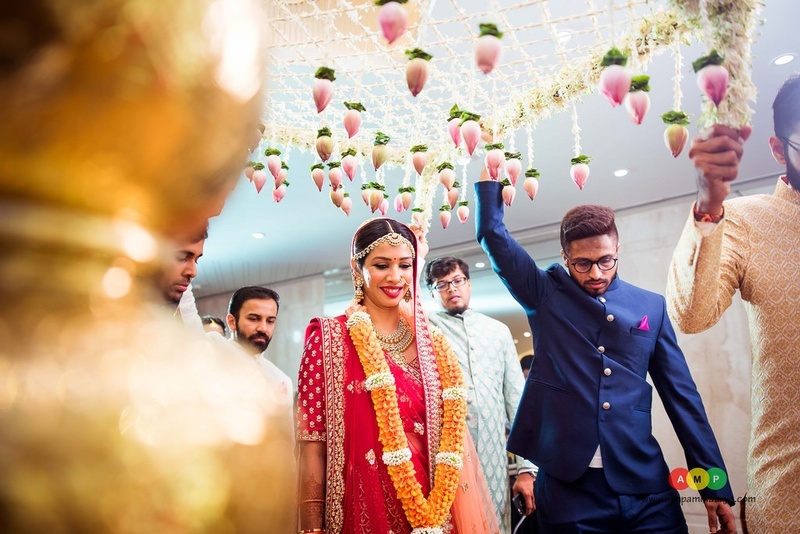 Saloni’s lavender lehanga for the day won many hearts while Pankil wore a navy blue Jodhpuri on white Kurta and Pyjama. 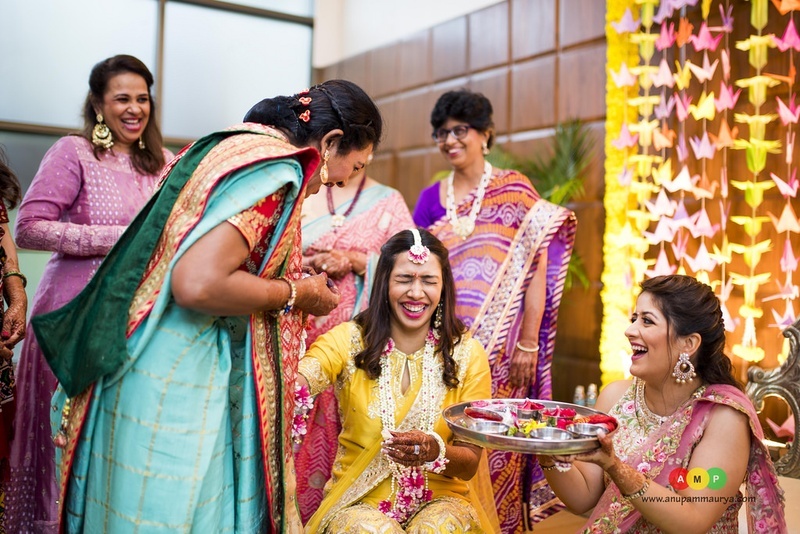 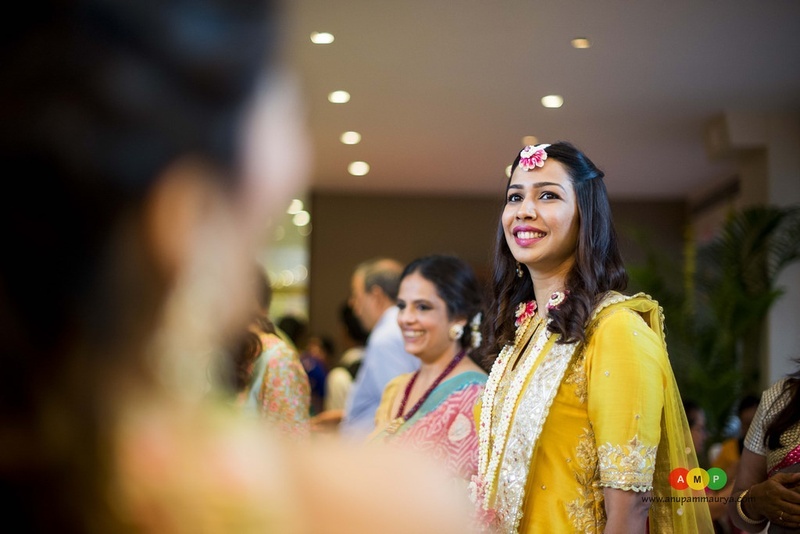 Haldi – Birla Kreeda Kendra, Girgaon : Saloni went unconventional in her choice of her Haldi outfit. 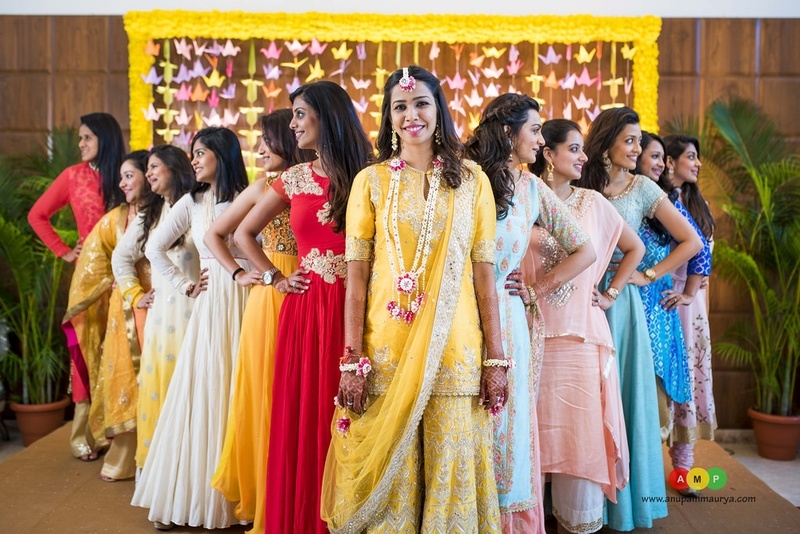 She wore a mustard Punjabi Ghagra and totally rocked the look. 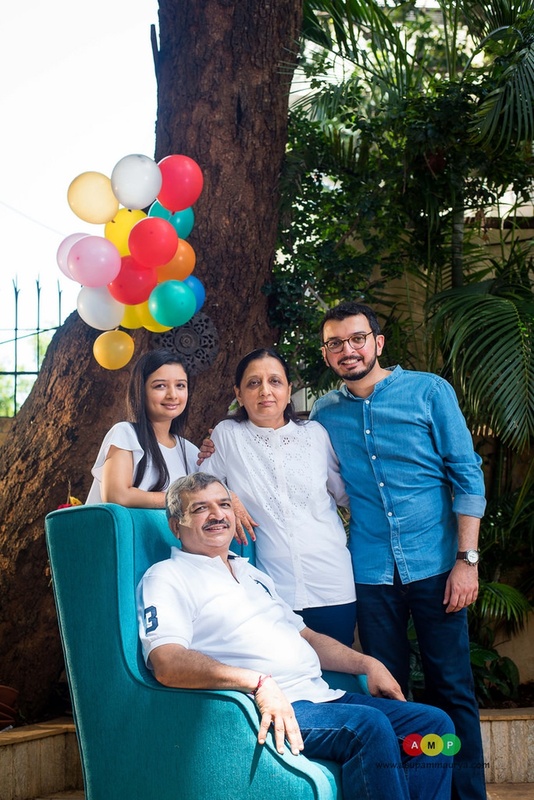 Pankil, on the other hand wore the classic kurta & Pyjama. 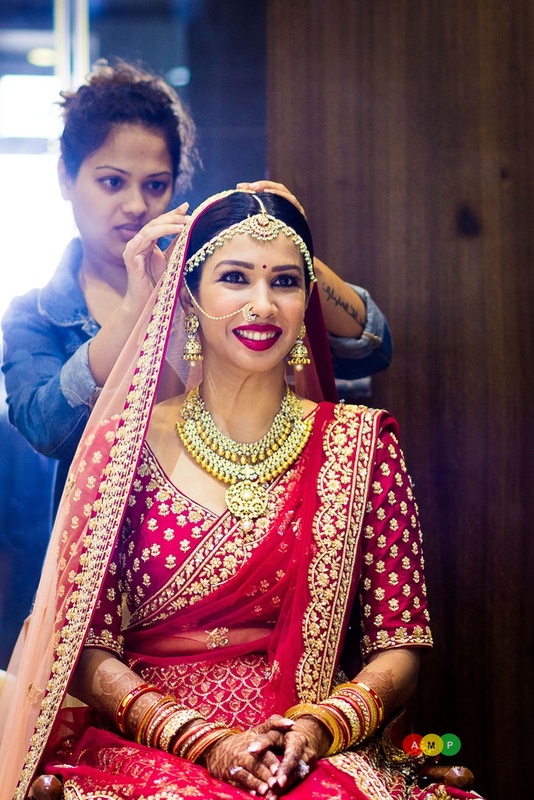 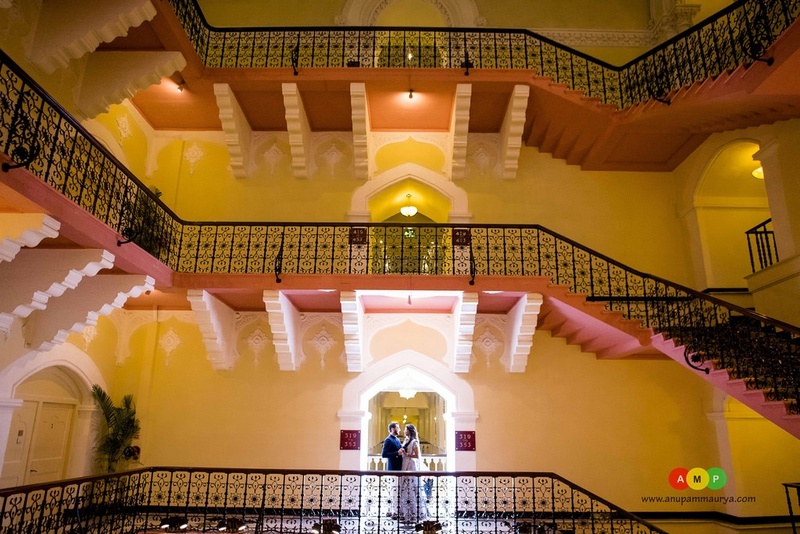 Wedding & Reception – NSCI, Mumbai : NSCI Palace Halls hosted their beautiful wedding. 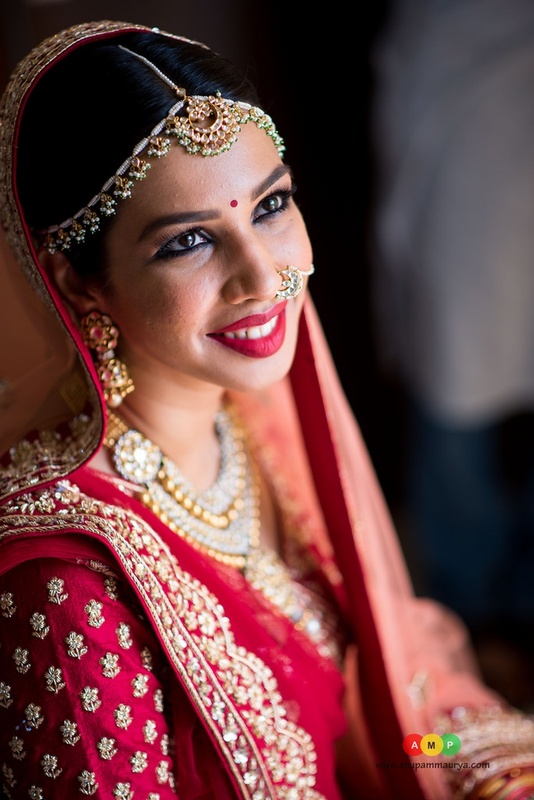 As expected Saloni stole the show with her red bridal lehanga and Pankil looked cute in a cream sherwani. 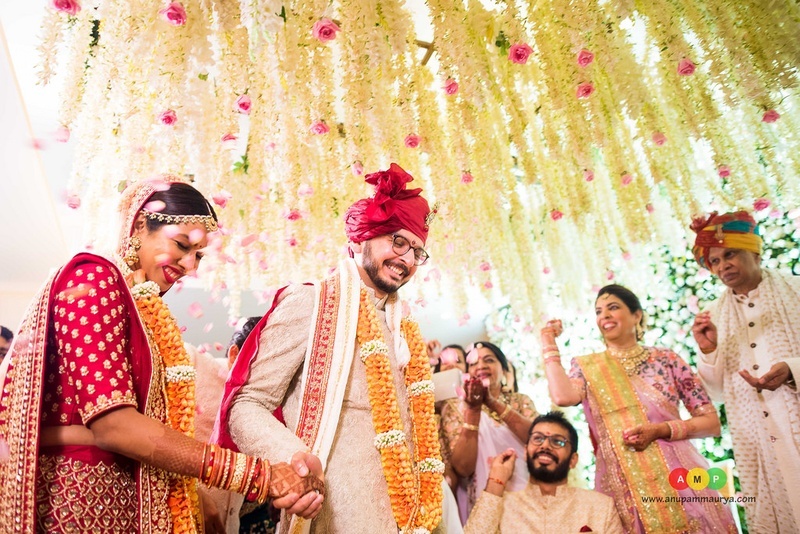 Wedding was solemnised through Gujrati traditions in a open mandap which was followed by a reception. 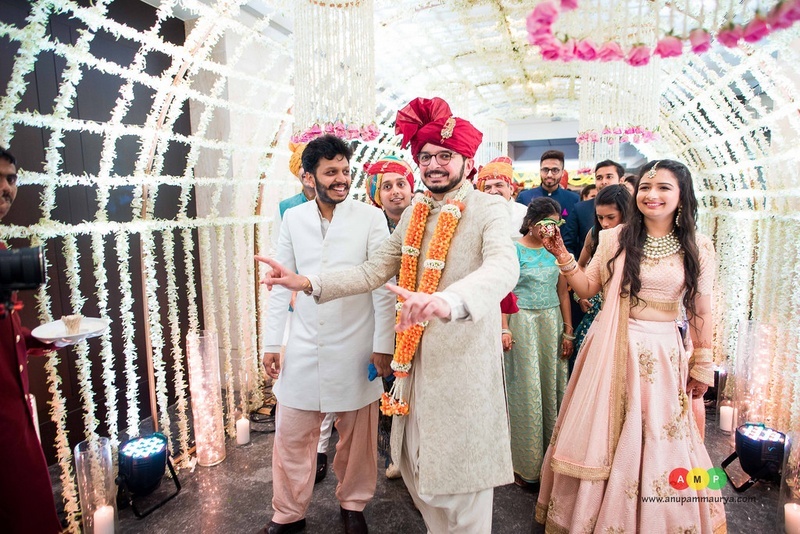 The excitement of the Parekh & Botadra families was over the moon, as they left no stones unturned to make the wedding grand and memorable. 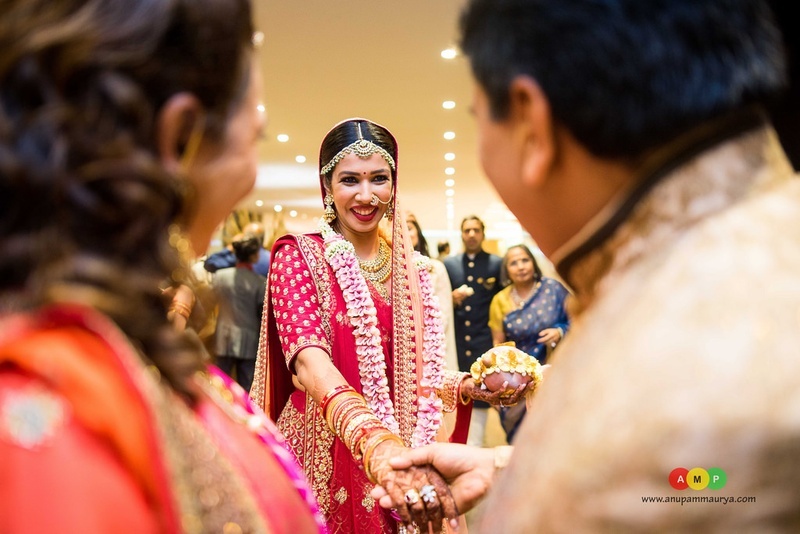 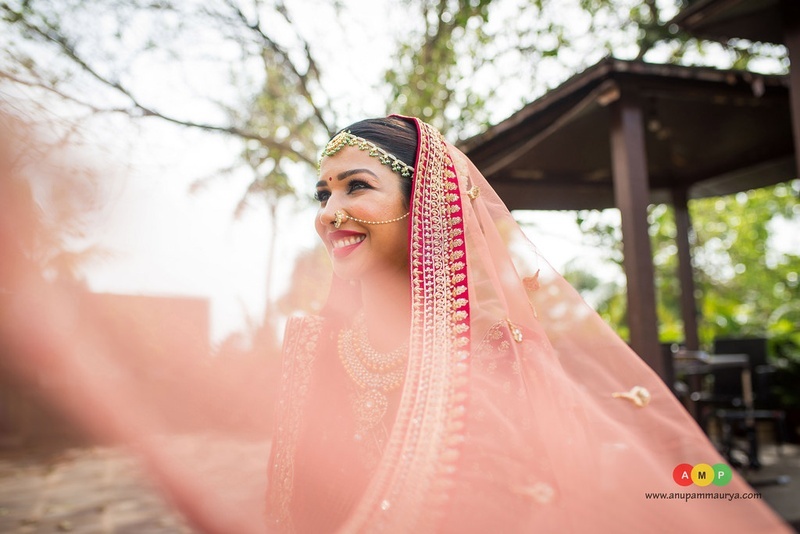 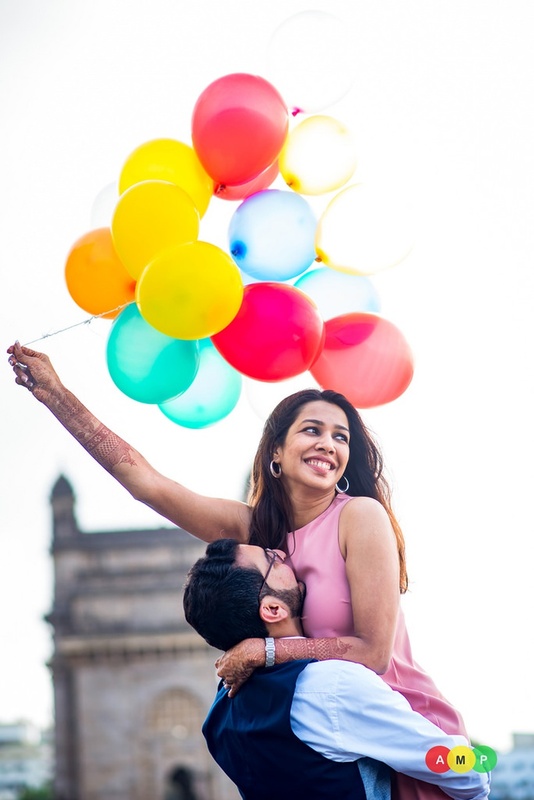 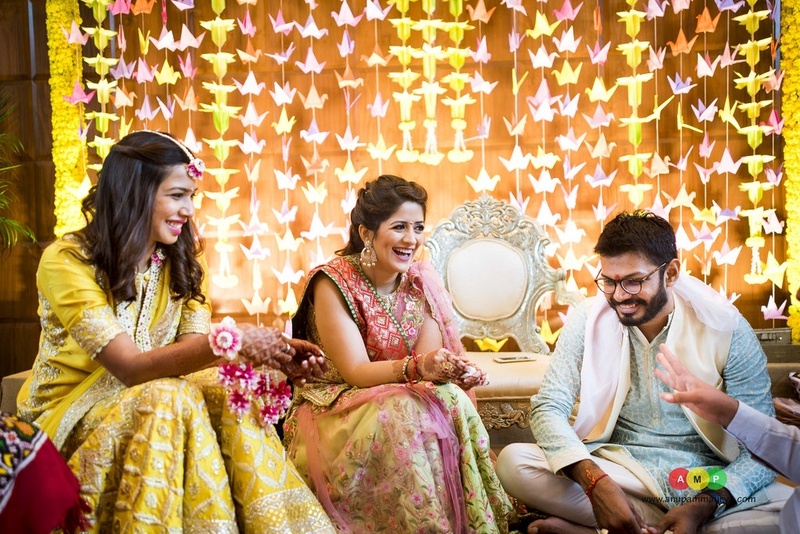 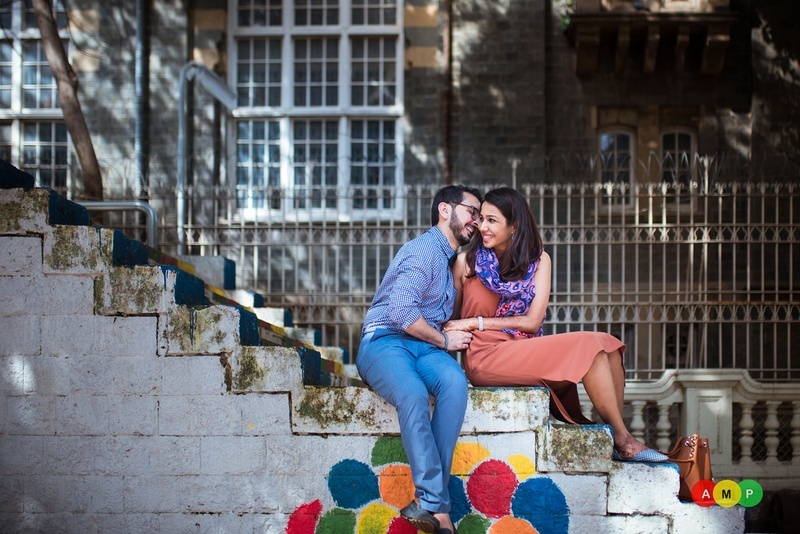 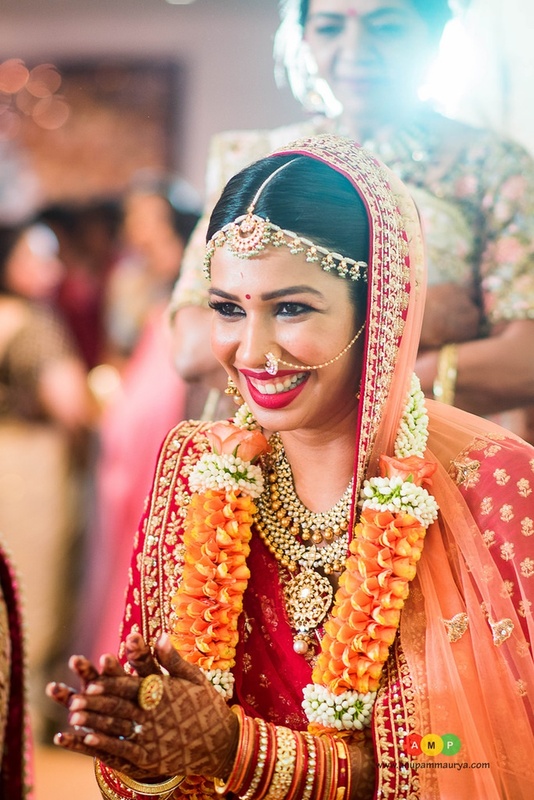 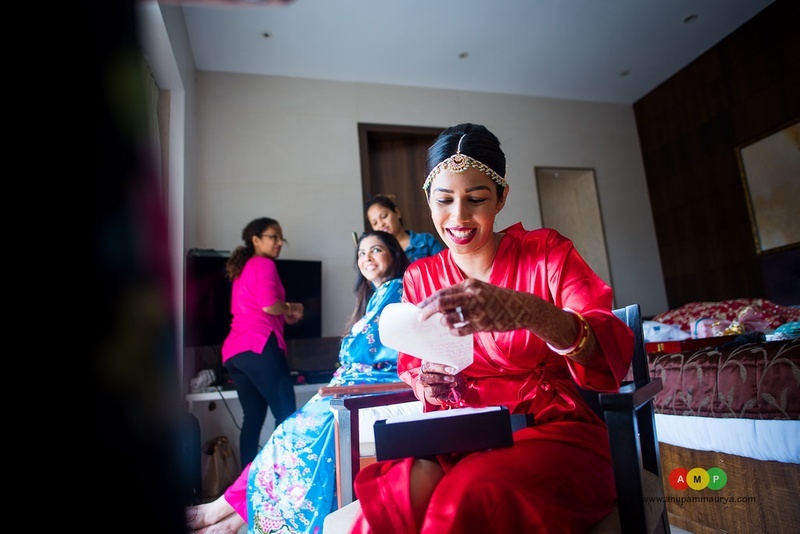 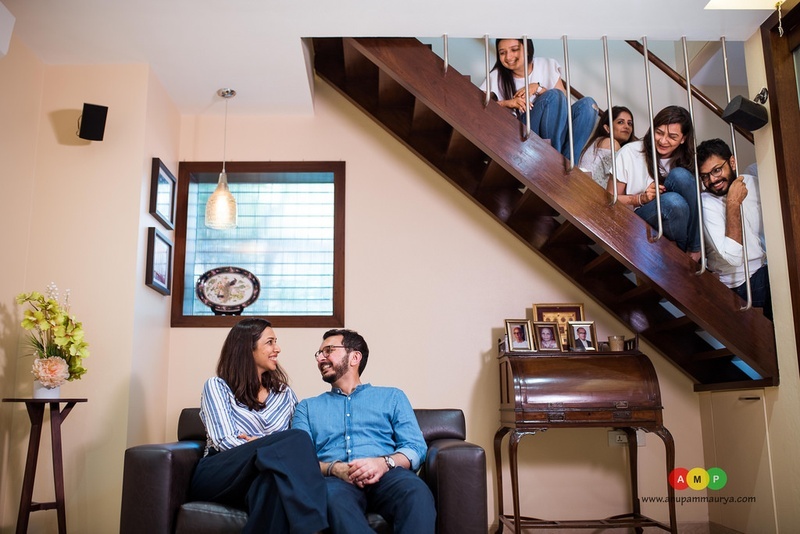 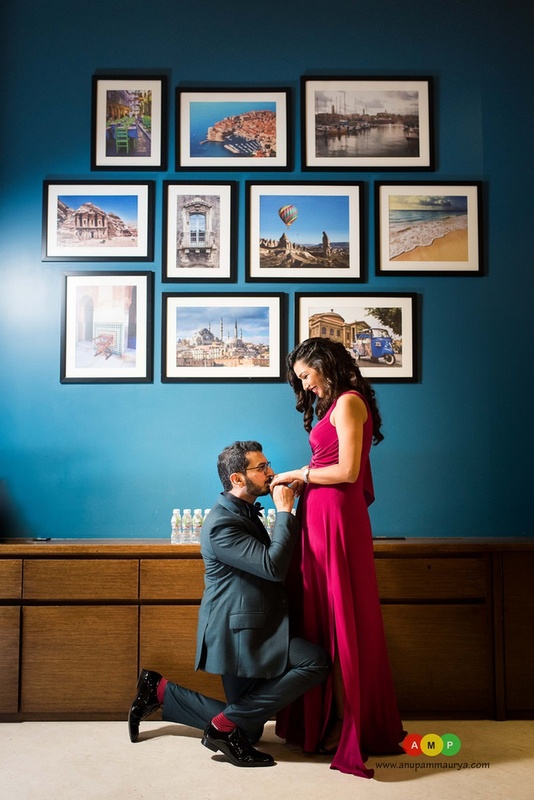 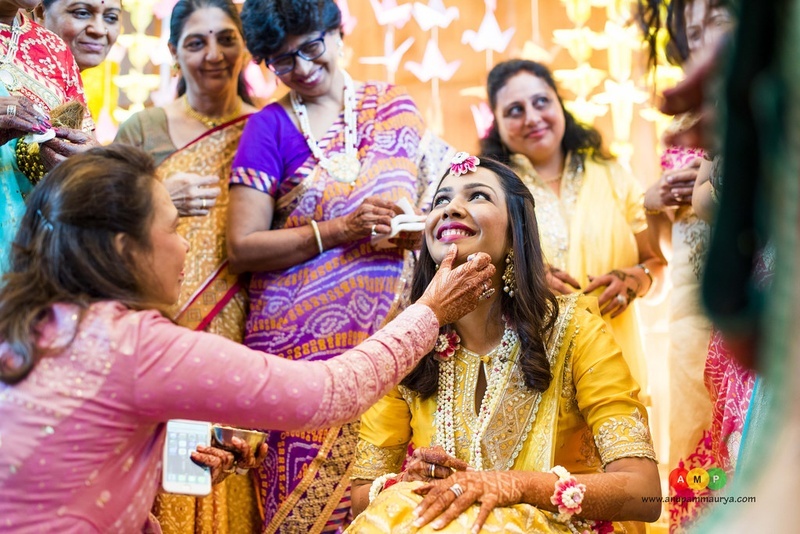 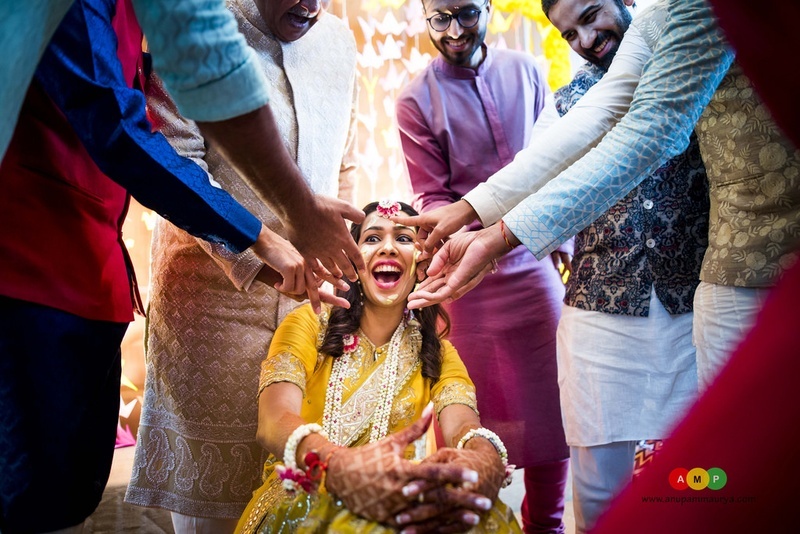 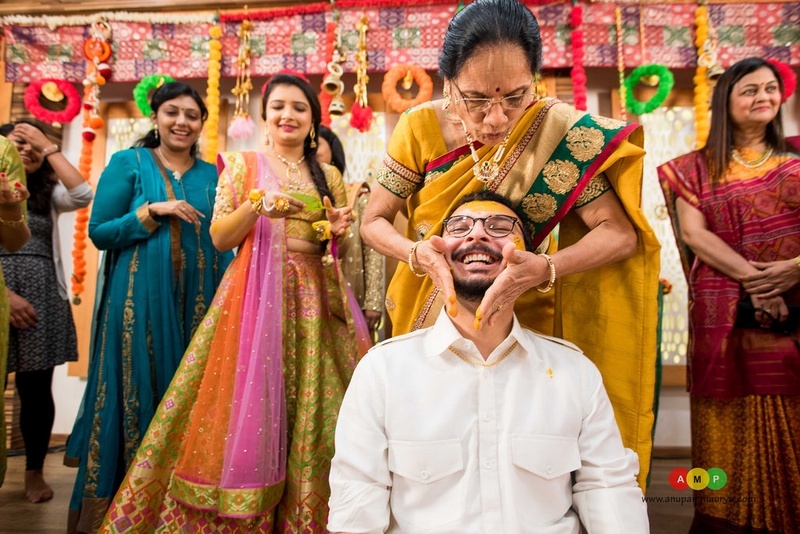 We let the photographs to do all the talking now and share Pankil & Saloni’s happiness from their best day!